My first Writing Experience – Emily L. Pittsford….Author of "A Most Incredible Witness"
I sat at it one day and decided to write something. I had heard someone share their advise regarding writing, “write what you know” they said. Even then I thought that sounded like a good idea, as I was already wondering how to do it. This was a suggestion I could work with and attain some sort of order through. I sat down and thought about what I knew. Well, I watched scary movies with my dad every Saturday. So I typed out a page of a scary/vampire story. I uncurled it out of the carriage and read it, and thought “wow, this is pretty good”. But then thought, “well, if I can do it, anyone can and threw the page away”. Not to say the world needed another vampire story. So I went into other creative arenas. I sewed, as my mother bought me my own machine at age nine. I painted pictures and drew portraits. I was the first girl to take wood-shop in summer school going into jr. high. I always took arts and crafts classes feeling so at home there, and I was considered the most artistic in my class. But I felt I should give writing a try again, so took my first creative writing class in the tenth grade. I had Mrs. Terry, she was the cool teacher everyone wanted to have. The first day we were asked to write a paragraph. Though am unsure of subject matter we were asked to write about. But somehow I wrote about two ladies of the night walking home. Ok, thankfully I didn’t know anything about this subject, but did know I wanted to show them as human beings. So I had them walking down a residential street in the early hours of the morning. I wrote about the leaves crunching under their feet as the fur collars on their jackets flowed up into their faces. But when everyone got their papers back, I didn’t. I looked around to see that everyone had theirs. I turned to the front of the room and Mrs. Terry stood there holding my paper in her hands and read it as an example. I was hooked. It sunk in that I could do this. I knew one day I would write. 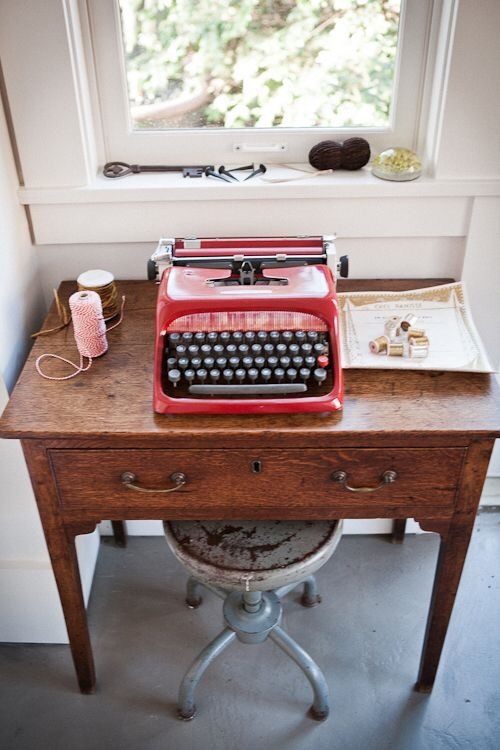 While I’ve done decorating, crafting, and still am an antique dealer I knew that somehow life would lead me back to a typewriter. Now an iPad…but here I am, sharing my story with you. Which may seem scary at first, but ultimately there is redemption and hope that you will take the time to read my book, as it truly is an incredible story. “A Most Incredible Witness”. Next Post Motherhood is a Calling!